[0:35] <ahop> Can I set a GPIO pin as second serial TX ? [0:36] <ahop> can I use a general purpose pin as a TX ? [0:39] <Bilby> why can't you use the hardware serial pins? [0:40] <ahop> pin #8 ? [0:40] <Kemosabe> y'all seen the pi top? [0:42] <Froolap> wouldn't that plug the heat vents.... putting something on top of the pi? [0:45] <Froolap> My wrist watch has a larger screen. [1:48] <fred1807> who is using transmission torrent client with a 32gb sd card? I need to know how a B+ performs in terms of cpu and memory. For my project I would delete and reload a torrent of 25gb almost everyday. [1:49] <fred1807> is that too much hash calc for the pi to handle while at the same time playing music? [1:54] <CoJaBo> fred1807: If the priorities are set right, it'd be fine just slow. [2:46] <CoJaBo> dunno, it should say. Probably ages. [2:53] <fred1807> ages like 15 minutes? [4:28] <anunnaki> fred1807: what do you mean reload a torrent? [4:29] <anunnaki> fred1807: i use b+ and download torrents everyday with it.. im still learning how torrents and all that work.. like what hash checks are and trackers..
[4:36] <anunnaki> Triffid_Hunter: im just learning now about torrents.. never really used them till last year.. so i dont even know what an infohash is. [4:52] <anunnaki> Triffid_Hunter: yeah i had issues with rtorrent's utorrent webui.. it just wouldnt load for me.. had to use transmission but that too had issues.. wouldnt let me log in. [4:56] <anunnaki> Triffid_Hunter: so what do you do do with this infohash ? you make a magnet links from it? [5:28] <Havenstance> think it'd be feasible to program a Pi to control a toaster? [5:28] <anunnaki> get a relay.. maybe a thermal sensor..
[6:01] <anunnaki> Triffid_Hunter: seems like my rtorrent doesnt connect to many trackers.. like 2 every time. and DHT being one of them usually. [6:01] <unitypunk> If I get one of them 3'5inch touch screens, will my hdmi out still work fine? [6:03] <unitypunk> Can it just clone to both screens? [6:03] <anunnaki> unitypunk: like have it display on the tft screen and run a hdmi to a monitor at the same time? [6:05] <googs> is there a prebuilt\linux-x86\toolchain\arm-eabi-4.4.3 or newer i am able to obtain, for building a wifi driver ? [6:08] <googs> it looks like people compile raspi drivers on pc, for speed reasons i think; but am i wrong trying to do it on the Pi ? [6:09] <googs> should i be setting up a nix VM and doing it ? [6:10] <unitypunk> Switching from try to hdmi should be automatic right? [7:10] <significance> Hello all! I'm trying to set up my CS330 webcam with my Raspberry Pi, but when I run `fswebcam test.jpg` I get "unable to find a compatible palette format." Anyone have advice on fixing this issue? [8:57] <unitypunk> Anyone using tft and hdmi, can you dual screen? Or just one output at a time? [9:01] <ShorTie> how you gonna hook up the 2nd screen ?? [9:02] <ShorTie> oh boy, freenote finally fixed the time, lol. [10:35] <AutoStatic> baldrick: do you have access to another Linux machine? [10:41] <AutoStatic> baldrick: do you really want to use Raspbian? [10:43] <AutoStatic> And you're in the right directory? [10:43] <AutoStatic> Could you patebin the output of autoconf? [10:46] <AutoStatic> Could you pastebin the output of ./configure? [10:46] <AutoStatic> Is install.sh executable? [11:38] <ahop> how to wire this socket to Pi? [12:06] <CoJaBo> ahop: Why not use a panel-mount cable/extension? Seems like it'd be easier..
[12:06] <ahop> CoJaBo what kind? [12:07] <CoJaBo> plenty seems to come up googling "panel-mount micro usb"
[12:12] <ahop> Something else: possible to have different baud rates for TX and RX ? [12:15] <ahop> two serial ports? [12:17] <ahop> which alt function codes? [12:21] <ahop> if I overclock the serial, it will be overclocked for both TX and RX ? [12:23] <ahop> clever can u give me your email in pvt (in case something goes wrong, maybe you'll have magic idea to solve a 10hours stuck problem) ? [12:24] <ahop> is it normal standard RX / TX ? [14:57] <fred1807> On a headless raspberry server I plan to use the watch folder (and leave .torrent files there). This watch folder will be in sync with my computer. Can I use a script on the raspberry to remove a torrent from transmission If the original .torrent file is removed from the watch folder? [15:01] <Bilby> fred1807 the most common configuration of a watch folder includes removing the .torrent file once the torrent is loaded. What solution are you trying to achieve with your configuration? [16:39] <ahop> Is there a way to connect USB stuff to the Pi without using the USB sockets? [16:39] <ahop> i.e. are the USB sockets of the PI available through pins header? like GPIO? [16:59] <ahop> do you think so as well? [17:02] <ahop> btw Atmega = Arduino or != ? [17:04] <ahop> both handles the display and accept the MIDI In? 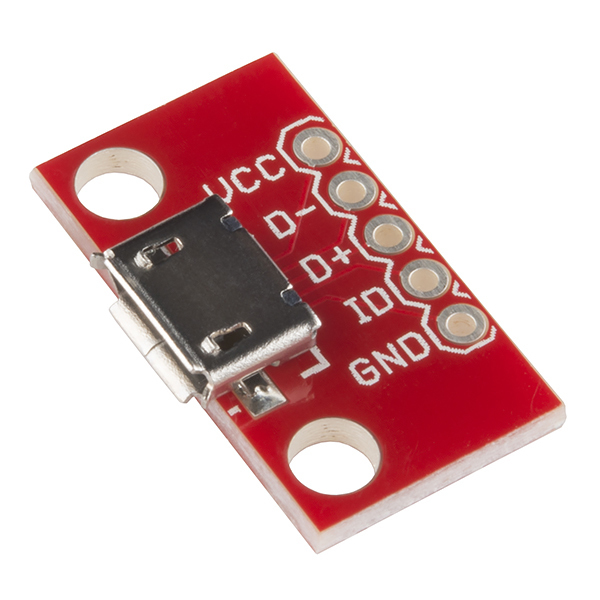 [17:07] <ahop> Is it simple to use i2c with Python? [17:07] <ahop> so I could let the serial free for MIDI? [17:08] <ahop> where should it be with arch? [17:09] <ahop> shoudl I use the same resistor value if I use 3.3V ? [17:09] <ahop> for midi in? [17:11] <ahop> to leave alone what do you mean? [17:13] <ahop> but are there some who also solders SMD parts? [17:14] <ahop> no one makes this? [17:27] <TheLostAdmin> Chillum: I've heard the same thing and talked to a few people who say they have done it but I've never tried. On caveat: once you use a toaster oven to solder, you can't use it to make toast anymore. [17:27] <Chillum> "yay, pirate toast!" [17:50] <Kitsutypy> Guhh, my RasPi can't recognize my hdd..
[17:53] <knightwise> Kitsutypy: is the hd spinning up ? [17:53] <knightwise> what os are you running ? [17:53] <Kitsutypy> can it be a problem? [17:55] <shiftplusone> and which pi is it? [17:55] <shiftplusone> have you enabled the extra current hack option in config.txt? [17:55] <knightwise> hmm.. should not be a problem. have you formatted your hd ? [17:57] <Kitsutypy> should I use ntfs or exfat? [17:58] <diegoaguilar> what should I do? any dependencies, setup requirements, arguments ..
[17:58] <shiftplusone> yes... all of those things. [17:58] <shiftplusone> It's all very package-specific.... depend on what you're compiling. [18:25] <diegoaguilar> what's the warmest you got there? [18:25] <Kitsutypy> diegoaguilar: in the summer, we get like 25-30.. if we're lucky. [18:27] <Kitsutypy> Here in south, propably -20? [18:27] <diegoaguilar> well ... Iceland is that probably colder? some Russia zones? [18:39] <Kitsu> I am not slim! [18:43] <Criminalised> diego where are you from? [18:46] <shiftplusone> Kitsu, check the channel rules, please. [18:49] <shiftplusone> And the rest of you... stop being creepy creeps. [18:50] <shiftplusone> Kitsu, just the swearing. [18:54] <shiftplusone> mohitgupta322, don't know about the green one, but Noir can. [18:54] <mohitgupta322> Update : Can anyone confirm that if green raspberry pi camera module (not the noIR one) can see IR light of a tv remote IR LED or not ? [18:57] <mohitgupta322> methuzla are you checking using your raspi camera or just googleing ? [18:58] <methuzla> raspi camera. i just happen to have a setup handy. [19:01] <shiftplusone> ShorTie, the question is whether the other one can. [19:02] <methuzla> mohitgupta322 the answer is yes. it can see a remote IR LED. [19:13] <Bitgod> with a pi model b, what else do i need for digital signage? [19:14] <Bitgod> besides a 32GB high end SD card for storage and a network? [19:17] <methuzla> Bitgod you plan to use the TV as the sign? [20:02] <Bitgod> so i need B+? [20:09] <methuzla> huh? based on what? [20:48] <Datalink> blah, anyone have any idea why I can't toggle pin 16 (BCM23, wPi 4) on a Pi2? [20:56] <Sonny_Jim> Is it grounded? [20:59] <Datalink> it's a fresh Rasbian install, didn't enable SPI or I2C, just camera, for the project, what'd be the best way to check? [21:00] <H__> does it change voltage at all ? do you have a volt meter or scope around ? [21:01] <H__> no clue then. other than sounds b0rken. Maybe others here still have ideas ? [21:02] <Datalink> odd, maybe one wasn't baked right? [21:40] <JohnMarkM> I am trying to format a micro SD card in Linux Mint Mate. [21:40] <JohnMarkM> Does this look right? [21:41] <JohnMarkM> How do I know if block size (bs) is right? [21:42] <JohnMarkM> flash speed or run speed? [21:42] <JohnMarkM> Oh! Good! Then I am OK!!! [21:43] <JohnMarkM> Thank you so very very much!!! [21:46] <JohnMarkM> I bought a USB Wi-Fi adapter that said it would work out of the box on a Raspberry Pi Model B, but I have a Raspberry Pi 2 Model B, and it does not show up in the wpa_gui. [21:47] <realies> anyone that could provide network configuration help? [21:48] <ppq> JohnMarkM, i don't know what wpa_gui is, but if it is said to work on a raspberry pi, it really means that it is supported by linux and doesnt draw too much current. so it should work fine on a pi2. [21:51] <JohnMarkM> How do i check lsusb? [21:54] <JohnMarkM> If I remove the Wi-Fi adapter I get the same 5 devices. [21:54] <realies> do you have a hub? [21:54] <realies> so you dont see any line saying tp-link when you plug you adapter? [21:55] <realies> does the adapter have any led or indicator that its having enough power to run? [21:55] <JohnMarkM> It may be a bad unit? [21:55] <ppq> is it a powered hub? [21:55] <realies> what happens if you connect the adapter directly to the pi, without going trough the hub? [22:00] <JohnMarkM> My PC made a a ta-da noise when I plugged it in. [22:01] <JohnMarkM> Windows PC Message Device Driver software was not successfully installed. [22:03] <JohnMarkM> It must be a V1 but it does not have a V at all. [22:19] <JohnMarkM> I am not finding much that looks useful for a TL-WN723N V3. [22:29] <JohnMarkM> I think I should return it to the store and order one that truly works out of the box. [22:30] <JohnMarkM> Can you recommend one to order? [22:38] <Froolad> I like it in that it's not so tiny that it's easy to lose if you ever disconnect it, and you can change how the antenna is oriented to boost reception. [22:44] <JohnMarkM> What is pidora? [22:45] <Froolad> is there a way to assign a specific process to a specific core? [22:45] <Froolad> Pifora is the fedora flavor on the pi. [22:46] <Froolad> i.e. I'm not running raspberian. [22:47] <Froolad> fedora seems to be more cutting edge, in the debian has a 2 year old version of network manager that doesn't allow for a "new" wireless connection to be made from command line. [22:47] <Froolad> that was the selling feature for me. [22:50] <methuzla> JohnMarkM can you pastebin the output of dmesg? [22:53] <fred1807> Is it okay for a raspberry B+ to load a torrent file with 25gb of files Already on sd card, meaning a hash compare of 25gb worth of files (mp3) ? How much time would that consume? [22:55] <methuzla> JohnMarkM also, what OS are you using? [22:57] <fred1807> i would love if that could heappen in minutes..
[23:26] <philm88> Sonny_Jim: I didn't see anything out of the ordinary in dmesg - but I can post it online if you wouldn't mind taking a look? [23:28] <philm88> methuzla: hmm, you might be right. It only makes sense to set the pull up/down on inputs right? [23:28] <methuzla> what where you trying to do with that line? [23:32] <philm88> and put the pull up on the input like GPIO.setup(pin, GPIO.IN, pull_up_down=GPIO.PUD_UP) ? [23:40] <philm88> weird how the pi let me get away with setting the pull up on an output for a couple of hours before freezing though? [23:41] <methuzla> you may still have a problem. but those lines needing fixing regardless. [23:42] <methuzla> next thing to check might a memory leak. [23:51] <methuzla> so made it worse? used to take hours. pastebin new code.